Figure 4-20. 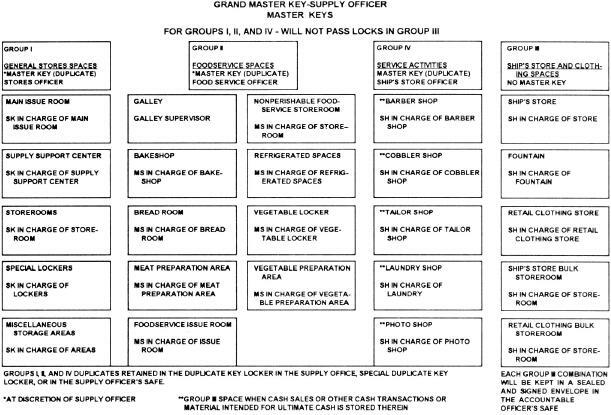 --A sample of supply space groups and custody chart. retains the duplicate master key in his custody. to set as department duty officers. to keys. Study and become familiar with it. are placed under group III.